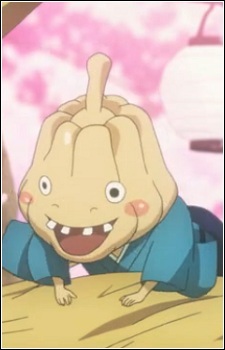 Sakura and Kiri are playful pumpkin-headed spirits. They are extremely small in size. They provide Susukihotaru, Bonbori, and Hozuki branches of cherry blossoms which are used as weapons by pulling the branches out of their mouths.